Whatever happened to Third Street? 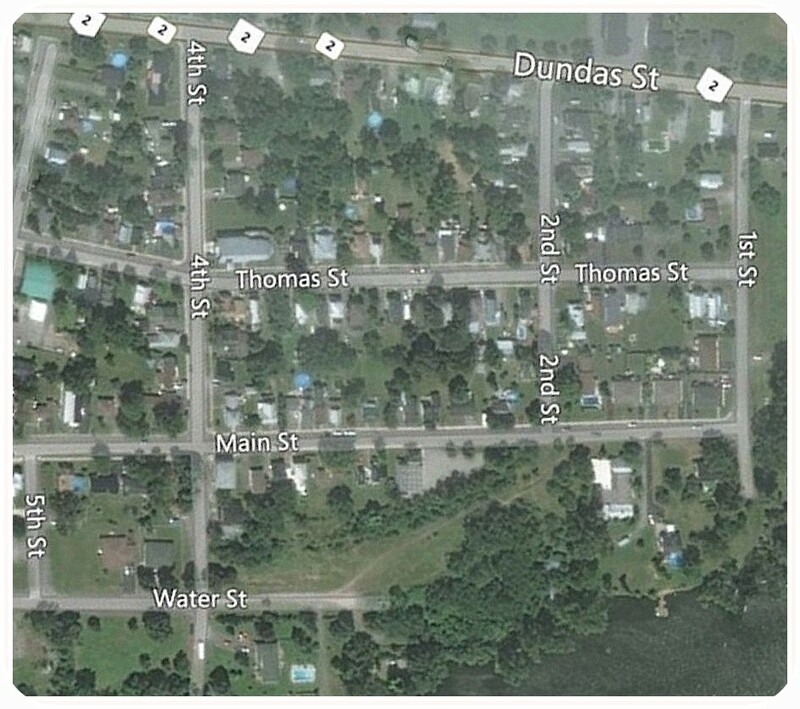 The north-south streets at the eastern end of Deseronto are numbered, like those in many North American towns. We have First Street, Second Street, Fourth Street and Fifth Street, but Third Street is nowhere to be seen. Well, that’s actually not quite true: you can see it in the Archives. You can see Third Street in the middle of the map and there’s also a Sixth Street on the far left. As you can see, Third Street was never a very long road, stretching only from Main Street down to the flour mill on Water Street. Fire destroyed two-thirds of the east end of the town of Deseronto, Ont., and nearly a hundred families are homeless. The Rathbun Co.’s big flour mill, storehouse and elevator, the shingle and lumber docks, the Roman Catholic church and about one hundred dwelling houses were burned. Most of the houses were occupied by workmen. The total loss will exceed $300,000. When the church was rebuilt, it was located further west; still on the north side of Dundas Street but away from the more industrial areas of the town. It was completed in November 1896. Unlike the church, it appears that Third Street was never rebuilt after the fire. By the time the map below was made for the Canadian Northern Ontario Railway in 1912, the road had vanished. A neat example of history affecting geography!